It contains a retrograde moon phase. 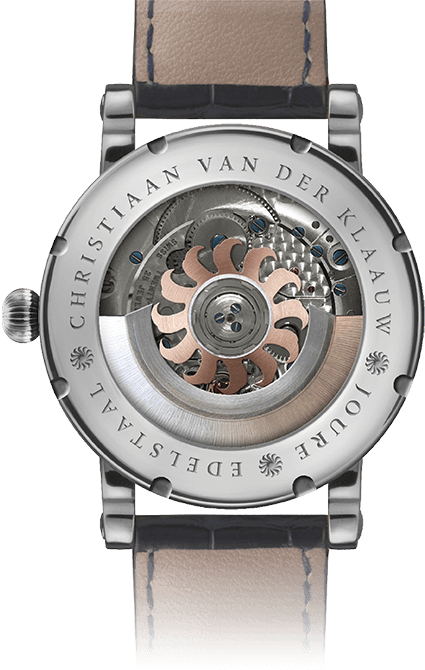 MovementCVDK1086, automatic winding, 25 jewels, power-reserve; 42 hour max., complication; CVDK Retro Moon module. FunctionsHours, minutes, seconds, complication; retrograde moon phase. 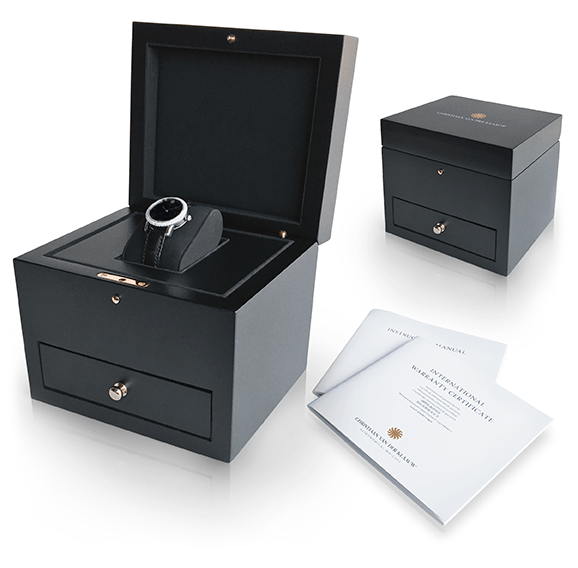 DialBlack with white rhodium plated indexes. With the Retro Moon complication, we have turned showing the different phases of the moon into an almost ballet-like spectacle. The hand pointing at the moon phases, is a retrograde, jumping back to the starting position on the left just before reaching its ultimate position on the right. 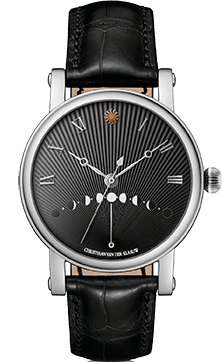 It’s an original and beautiful way to indicate the phases of the moon. 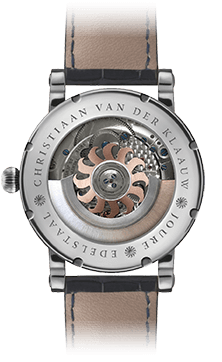 Our CVDK Retro Moon was awarded 'Watch of the Year' in 2011.